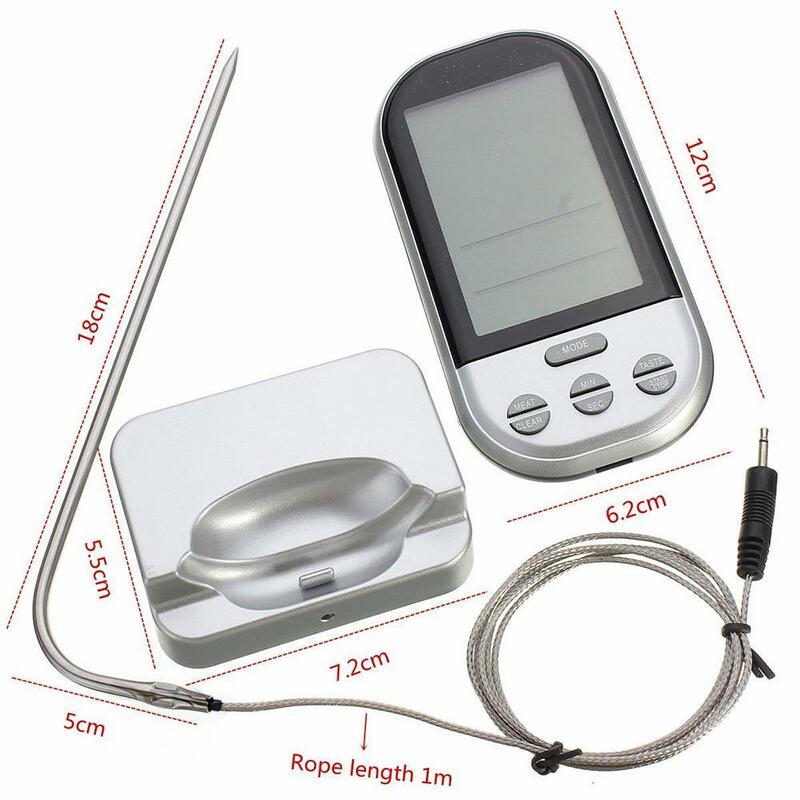 The TempRight™ Wireless BBQ Thermometer is a wireless remote control used to measure the exact temperature of your meat while grilling, cooking or barbecuing. It gives you accurate results in seconds. TempRight™ has a special built-in temperature setting for every single type of meat (Chicken, beef, pork etc) and rareness (Rare-Well done). The device simply does all the work for you. It leaves no room for mistakes and makes sure your food is prepared properly and masterfully. 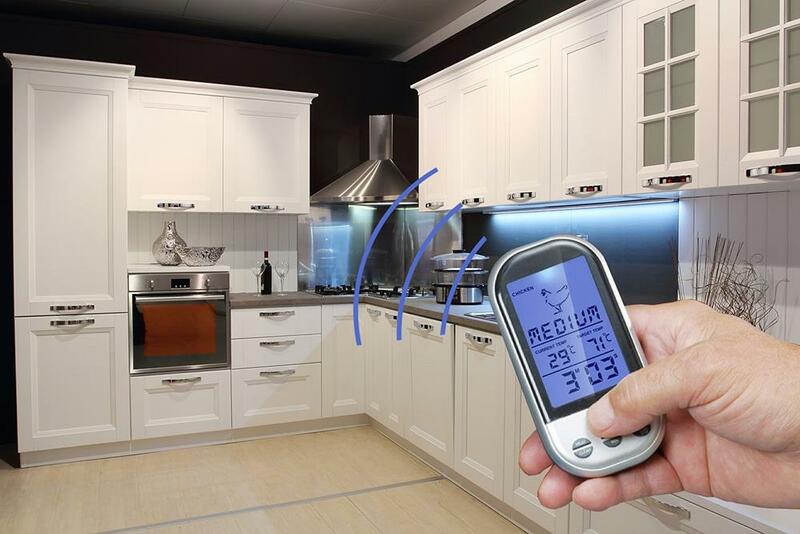 TempRight™ recognizes when the dish you're cooking is ready and, buzzes an alarm to let you know. That means your don't have to tend to the grill or open it during the whole cooking process! 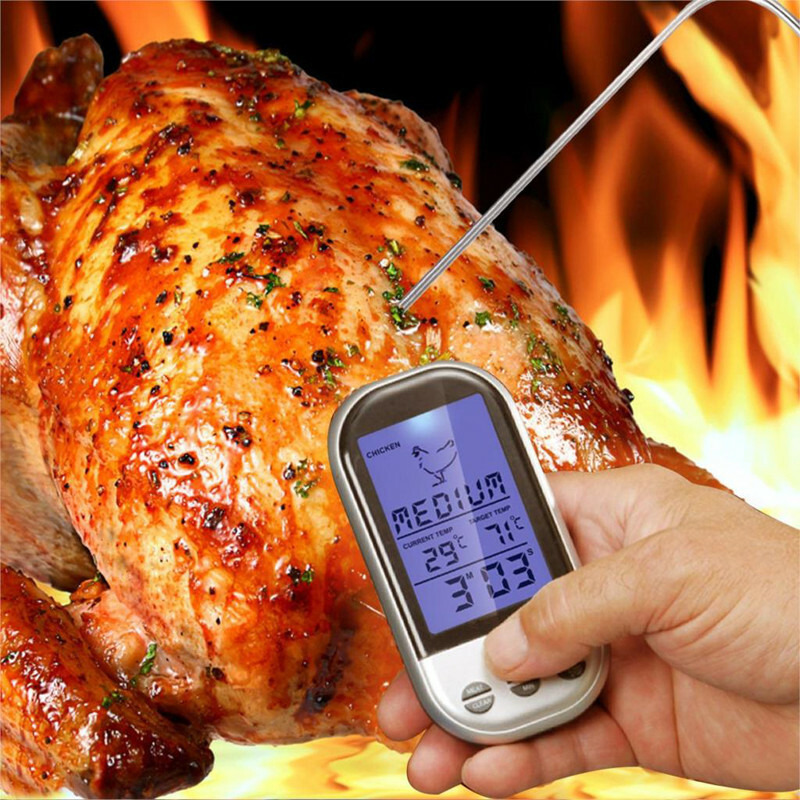 No matter if it's a roast for a dinner party or a turkey for the holidays, this Thermometer insures meals are cooked to perfection. It works by attaching remote wireless probes to the meat that measure its exact temperature and transmit it to the thermometer. 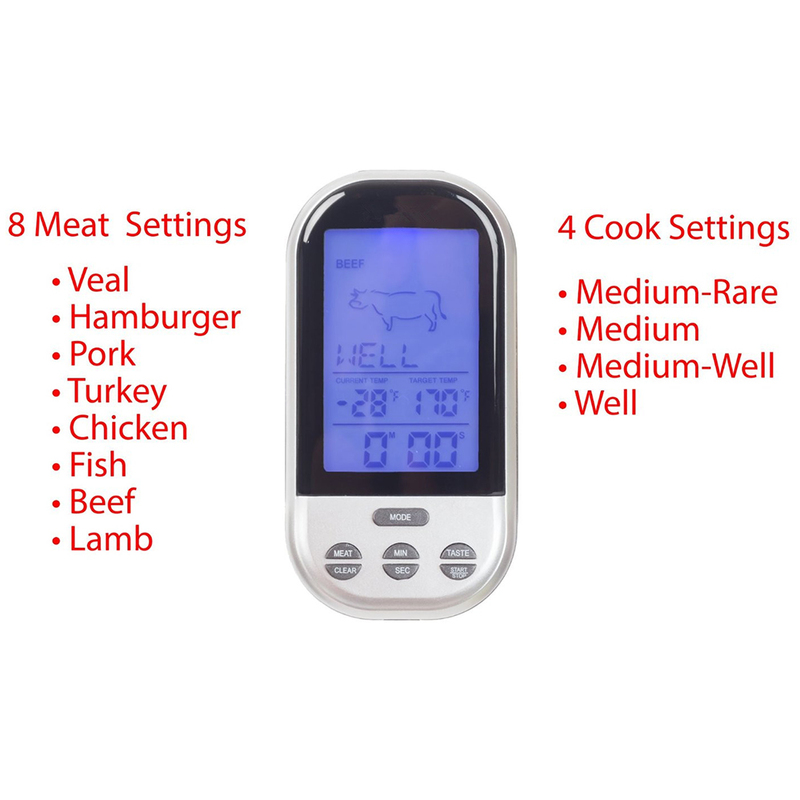 8 meat settings and 4 cook settings. Temperature display options for both Celsius and Fahrenheit. 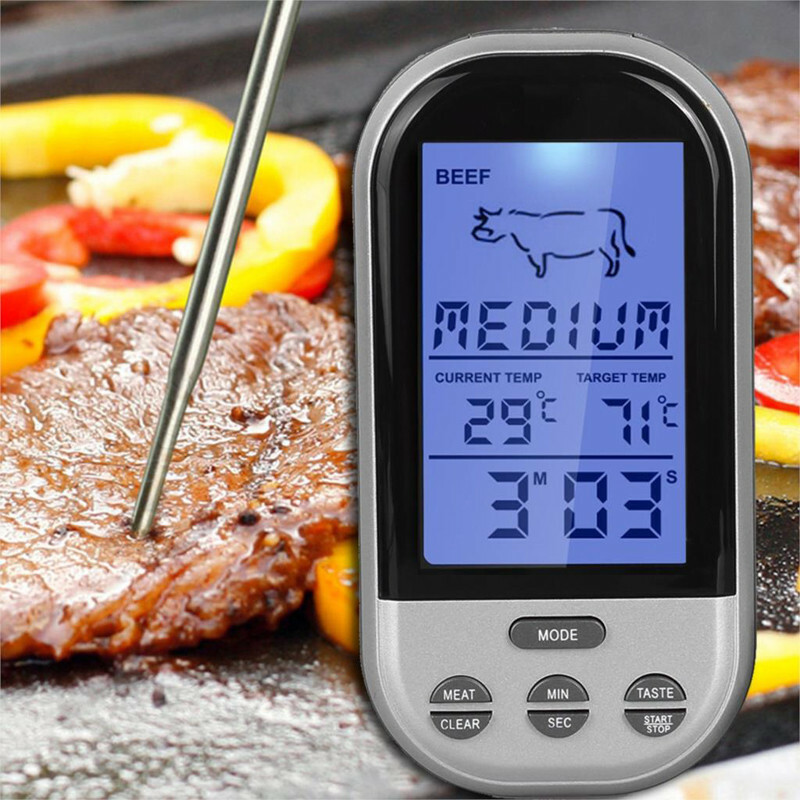 Control the temperature of your meatand make it taste better! Can be used at outdoor BBQ, oven, cooking, kitchen and more. Large screen LCD display with a blue back-light. 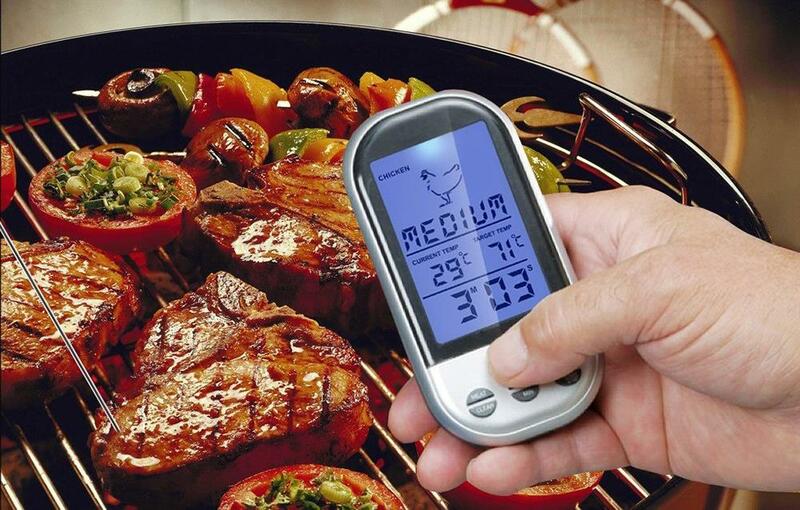 Easily determine meat temperature and switch between different settings. Temperature range is 0°C-250°C(32°F-482°F ).